Saving money is one of the most important parts of financial management, but it is often one of the hardest tasks to accomplish. Every day, we are bombarded by numerous advertisements that entice us with ways to spend money and make our lives better. What many people fail to understand is that having money saved for when they need it will make their lives much better than any product they can buy. If you are interested in saving more money for the future, try some of these effective money saving tips that boost your results. Saving money is much easier when it is a habit that you do not have to think about too much. There are many methods that can be used to make saving money into a habit for you. Some people put every quarter or $5 bill that they come across aside in a special place until enough has been accumulated to put into a savings account. Other people choose to use coupons and store sales to save money on their grocery shopping, and then transfer the savings amount at the bottom of their receipt from their checking account to their savings account when they get home. Still others only purchase new clothing if they find it on the clearance rack. Explore several types of saving habits to see which ones work the best for you. 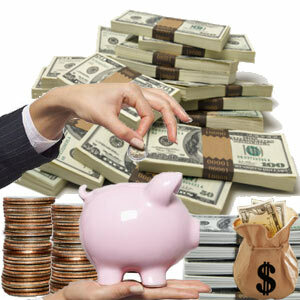 Another good money saving tip is to automate your savings as much as possible. With savings automation, all you have to do is set up the parameters once and computer programs do the rest for you. You can use the features of your bank’s website to transfer a set amount from your checking account to your savings account each payday. You can also ask your employer to split your direct-deposited paycheck into multiple accounts so that the amount you intend to save is never in your checking account at all. As long as you leave the funds in your savings account alone until a true financial emergency occurs, you will see the balance of your savings account rise faster than with just about any other saving method. If you are looking for a money saving tip that will provide a significant benefit over a long period of time, it would be to take full advantage of employer sponsored retirement accounts. These retirement accounts provide you with a number of money saving benefits. In addition to helping you save money for the future, you receive tax savings for your pre-tax contributions and you can take advantage of employer matching funds for the contributions you make, raising the amount in the retirement account by a considerable amount relatively quickly. Over time, compounding interest will also contribute to the amount of money in the account. It’s very interesting and inspiring topic about this Money Saving Tips That Boost Your Results. I’m sure many will be glad to read this article. Thanks for sharing it. Fantastic post!